Your health is precious. Heavy metals are not. Environmental exposure to heavy metal toxins can wreak havoc on your system. You may not be able to change the environment, but you can change its impact on your health with the help of Complete Metal Cleanse. Research shows that the key ingredient in Complete Metal Cleanse —purified humifulvate —binds to heavy metals including lead, mercury and cadmium, allowing the body to expel them more easily. Human exposure to heavy metals has risen dramatically in the last 50 years. The average American is exposed to an inescapable amount of heavy metal toxins on a daily basis—from the air, water and even our food. 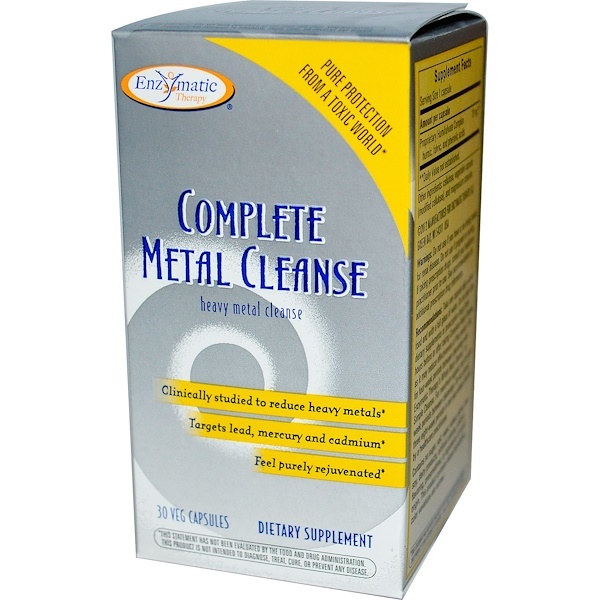 Complete Metal Cleanse features the powerhouse ingredient, humifulvate, scientifically studied to reduce lead, cadmium and mercury. Take one capsule daily without food and with a full glass of water. 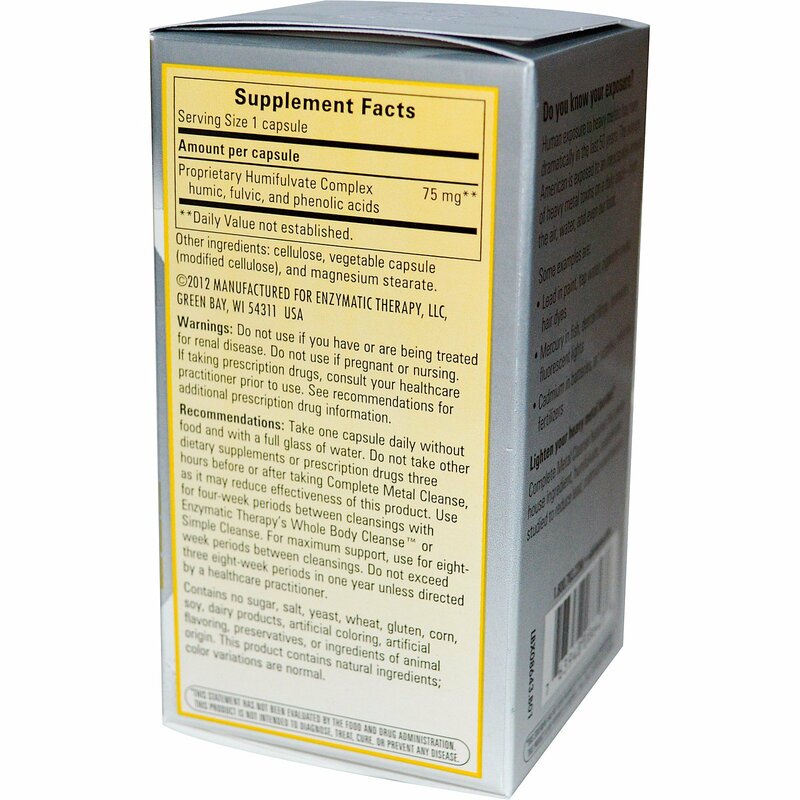 Do not take other dietary supplements or prescription drugs three hours before or after taking Complete Metal Cleanse, as it may reduce effectiveness of this product. Use for four-week periods between cleansings with Enzymatic Therapy's Whole Body Cleanse or Simple Cleanse. For maximum support, for eight week periods between cleansings. Do not exceed three eight-week periods in one year unless directed by a healthcare practitioner. Do not use if you have or are being treated for renal disease. Do not use if pregnant or nursing. If taking prescription drugs, consult your healthcare practitioner prior to use. See recommendations for additional prescription drug information.